The United States condemned the terrorist attack south of Jerusalem Sunday morning which killed father of four and pro-Israel activist Ari Fuld. A 17-year-old Arab terrorist from a Palestinian Authority-controlled town south of Hevron fatally stabbed Fuld near a shopping center in Gush Etzion Sunday morning. Fuld managed to open fire on the terrorist after being stabbed, but collapsed shortly thereafter, and later succumbed to his wounds. An American-born immigrant to Israel, Fuld was a dual citizen of both the US and Israel. The American ambassador condemned the attack and noted Fuld’s US citizenship. 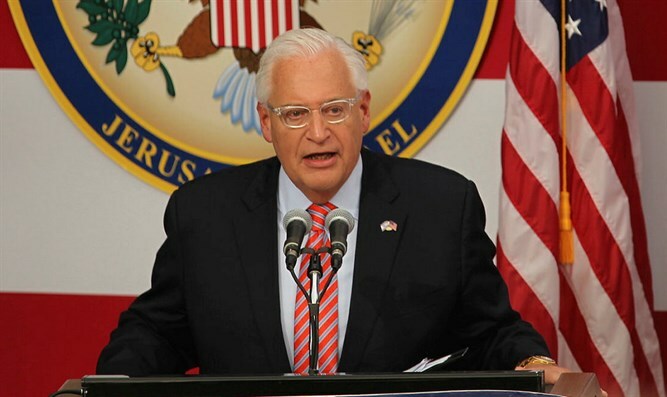 “America grieves as one of its citizens was brutally murdered by a Palestinian terrorist,” US Ambassador to Israel David Friedman tweeted Sunday. Former US Ambassador to Israel Daniel Shapiro also condemned the attack, and offered his condolences to the Fuld family. Retired British Army officer and counter-terror expert Richard J. Kemp also took to twitter Sunday following Fuld’s murder, saying Fuld had been a “soldier to the last”.